Founded in 1984, mesoestetic has developed into a world leading company in the cosmeceutical skin care sector based on its advanced technological and scientific methods and continuing research. mesoestetic offers a wide range of products for anti-ageing, hyperpigmentation and acne treatments, both for use in salons and skin care clinics and for clients to use at home. 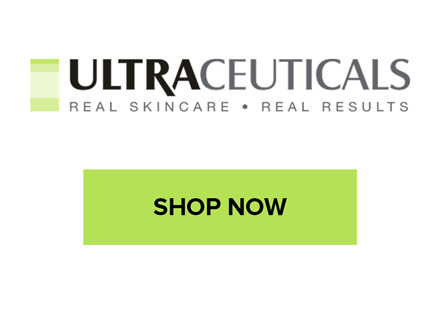 Developed by Cosmetic Physician Dr Geoffrey Heber, Ultraceuticals is one of the leading cosmeceutical brands, with professional grade products and Doctors efficacy without the prescription. Scientifically developed to deliver results you can actually see, Ultraceuticals combines high levels of potent ingredients, pure Vitamins A & C, AHA & BHA and antioxidants to effectively address major skin concerns- signs of ageing, pigmentation and acne. We offer complimentary skin consultations to prescribe the perfect home care treatment products for your skin. Eleanor Dorn is a highly qualified Auckland-based Makeup Artist who has over 8 years experience in various fields of Makeup Artistry including Weddings, editorial, special effects, TV / film and other special occasions From her industry experience, she has created a beautiful range of makeup which is extremely affordable as well as being fragrance free, paraben free and not tested on animals. The full makeup range has everything you need to take you from day to night for any occasion. Eye of Horus is an Australian, Byron Bay brand of colour cosmetics.A range of illuminating eye makeup based on formulas of the Ancient Egyptians, the originators of beauty and mystique, with sacred ingredients including Organic Moringa Oil “Oil of the Pharaohs”, claimed by the gods for its beautifying and regenerating powers and the ancient oil of Castor Oil. Voted “best product” at the International Spa and Beauty expo Eye of Horus Goddess Mascara and Liquid Definer won the 2014, 2015 and 2016 for Beauty Shortlist Awards on the ‘Best Mascara’ and ‘Best Eye Liner’ categories respectively. Eye Of Horus gained itself another fabulous award in 2015, Best Make-up Brand in the Latest in Beauty Awards and has recently taken out 3 Awards in the prestigious “Best in Beauty” Awards by Beauty Heaven in 2016 for its Pencils, Eye Shadow and Brow products.